At the advice of a fellow set-jetter, I was going to do some Christmas movies, including Gremlins, but didn't quite make my own deadline! 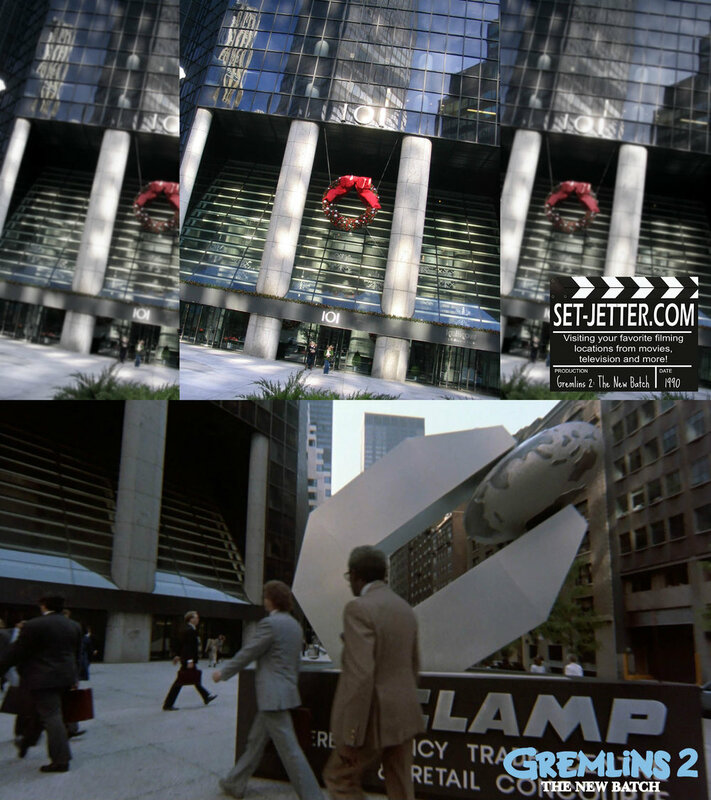 But before I did that, I wanted to do a few locations I had hit for Gremlins 2: The New Batch. A lot of people consider this an underrated sequel, including myself. I think it's a lot of fun, upped the action, poked fun at itself, and anything with Haviland Morris is an automatic-watch for me. 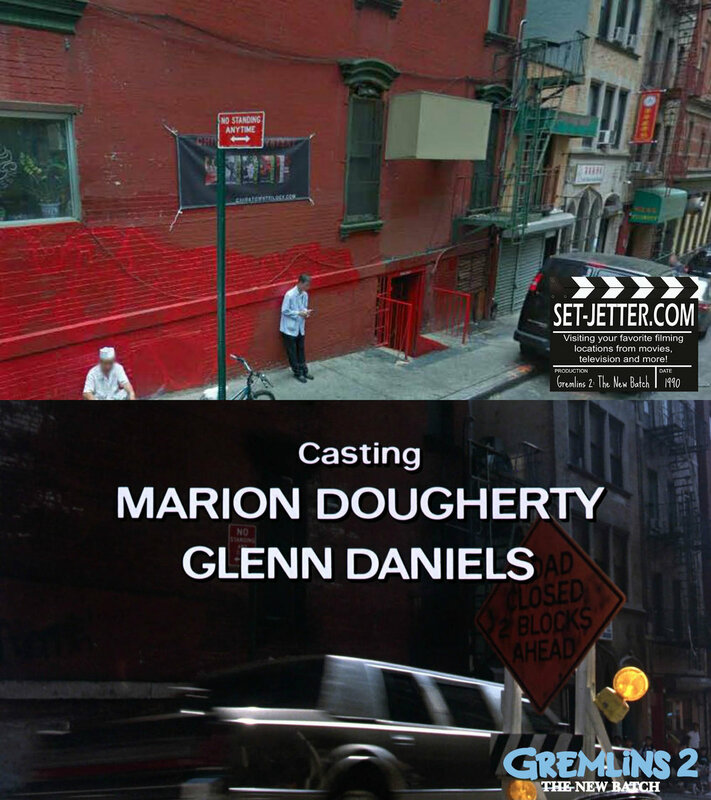 Most of the exteriors were shot in New York and while I have been there many times, there was only one location for the film that I intentionally photographed. 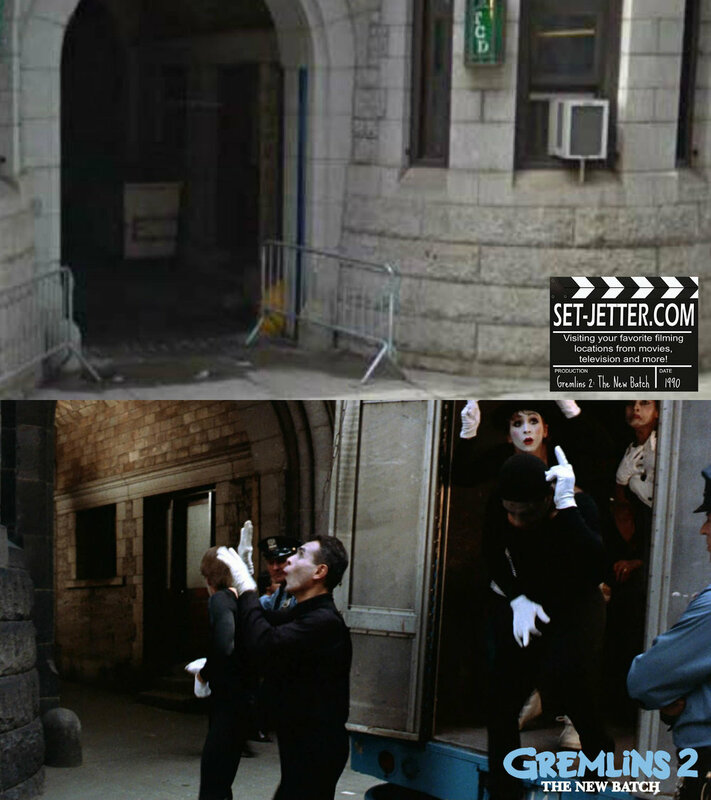 This first shot of Chinatown is not one of them, so the reference shots are from Google. We open on the building at Canal Street and Mott Street in Manhattan. The point-of-view shot is going down Mott Street. The limo next rounds the corner from Mott Street to Mosco Street in Manhattan. Now we move to the west coast as the limousine turns down east side of Hennesy Street at Warner Bros. Studios in Burbank. 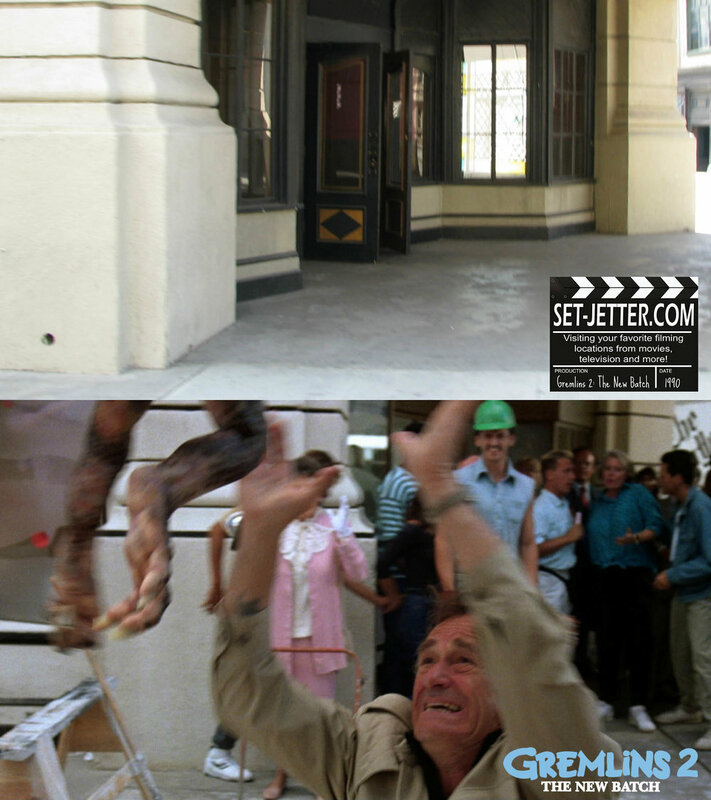 This is the same spot used as Chinatown in the original Gremlins. This area has changed very little over the years. 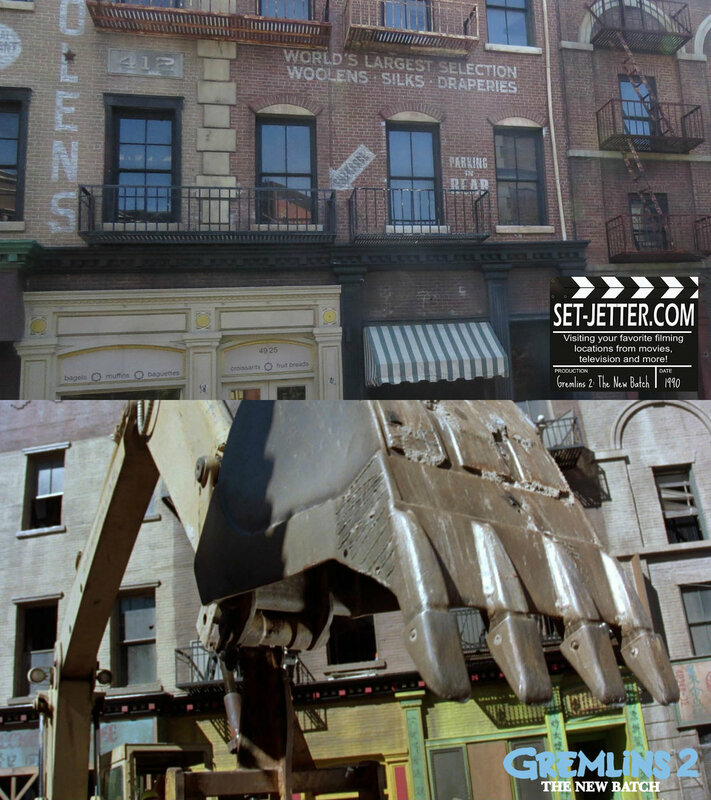 With the demolition, we are also on Hennesy Street, but are looking across the street from the Mogwai Shop. 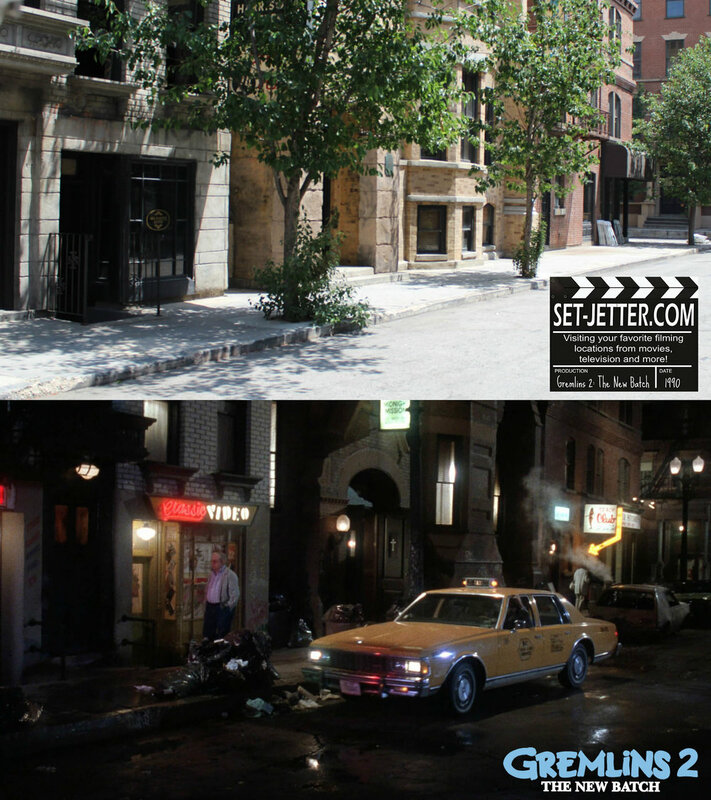 Gizmo is picked up at the south alley of Hennesy Street, in the background you can see the fire escape used in the upside-down-kiss scene in Spider-man. When Billy comes home from his Canadian date, he is dropped off on the west side of Hennesy Street, just one door down from Miss Hannigan's orphanage in Annie. Back in New York as Billy gets out of jail. I had assumed the production simply threw up a NYPD logo on a building and called it good, but this is actually the 23rd Precinct in New York at 138 West 30th Street. Thanks to onthesetofnewyork.com for pointing this one out! 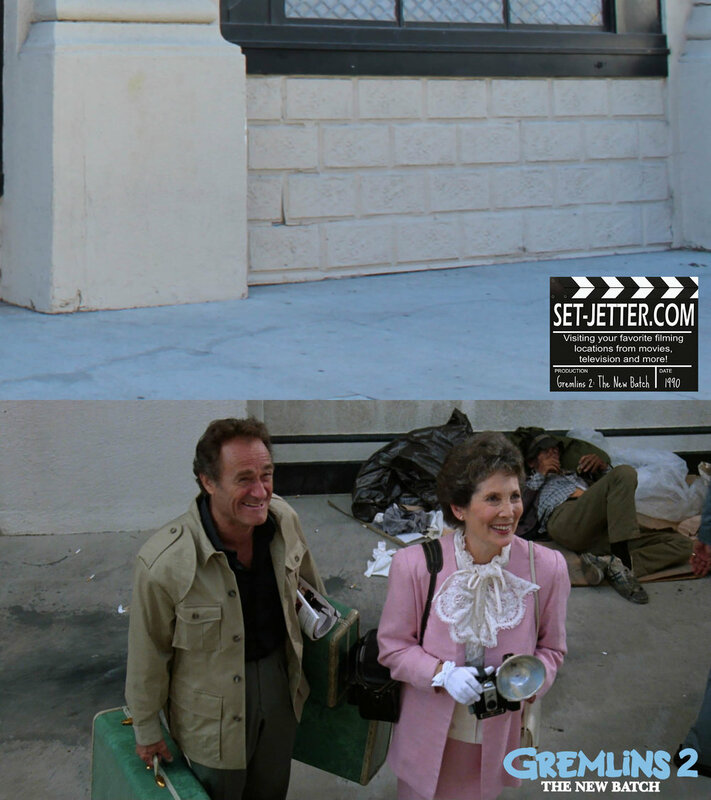 Murray and Sheila Futterman are sightseeing in front of the St. Patrick's Cathedral in New York, but all of their shots were actually filmed on New York Street at Warner Bros. in Burbank, California. Here are some behind the scenes shots from the same scene. Ok, finally, the Clamp Building. An actual New York location at 101 Park Avenue. Believe it or not, I only took three shots of this building, obviously early in my set-jetting career! 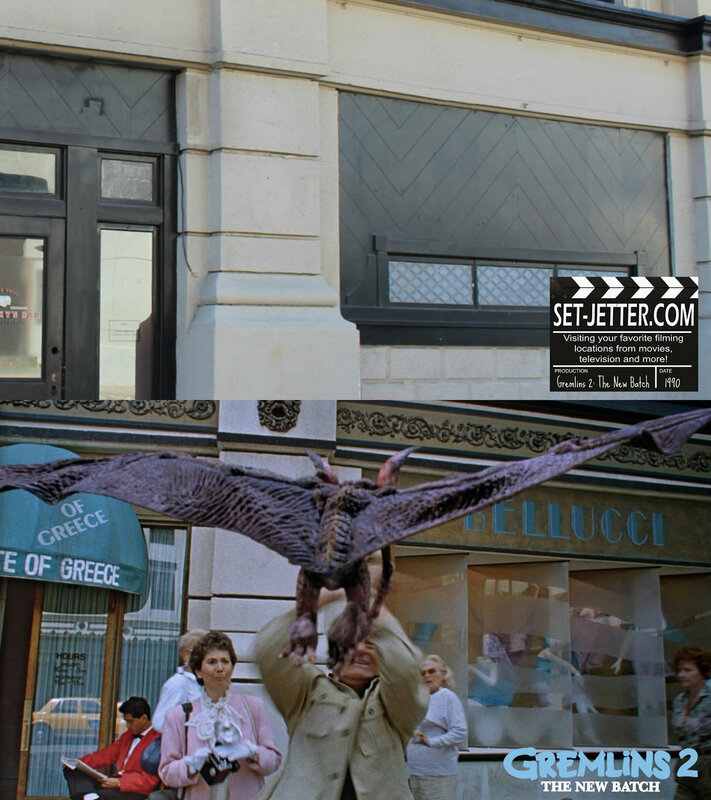 Most of the Gremlins 2 interiors were shot on stages 14 and 25 at Warner Bros. Studios. Zach Galligan has barely aged in all these years! And I'm glad Leonard Maltin was a good sport and had a cameo in this sequel.